Located in the spectacular Coast Mountains just two hours north of Vancouver, Whistler is Canada's premier year-round destination. With daily flights from Australia and New Zealand, why not book your holiday early and secure your choice of accommodation and activities at the best rates? Whistler features two majestic mountains with a vibrant base Village, epic skiing and snowboarding, four championship golf courses, world-class shopping, restaurants and bars, hiking trails, spas and the world famous Whistler Mountain Bike Park. No matter what season you come, you're going to love it here. Whistler is built around a pedestrian-only village where ski and bike lifts, shops, hotels and accommodation, places to eat, entertainment and activities can be found within walking distance. 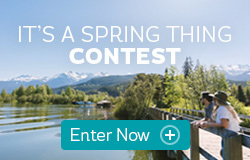 It's got all the amenities of a world-class resort while being small enough for you to enjoy our unique mountain culture and friendly Canadian hospitality. 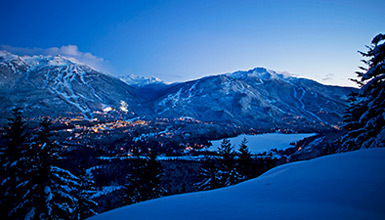 There's simply no better place than Whistler to plan a ski holiday. Whistler features a snow season that extends from November through to May with a mild West Coast climate and over 8, 100 acres of terrain on two mountains providing powder, groomers and technical terrain to suit all ability levels. Summers in Whistler are exceptional. The beauty of British Columbia is right on your doorstep here and there are hours of daylight to explore whether you choose to go biking, hiking and sightseeing high in the alpine, play the four championship golf courses or relax and unwind at our beautiful lakes and beaches. Whistler satisfies all appetites with plenty of places to eat for breakfast, lunch, après and dinner. Experience fresh food in mountainside venues with amazing views price ranges to suit every visitor. Award-winning restaurants and chefs offer appetizing fare from different ethnicities and regions, with many featuring organic and locally sourced ingredients. Time your visit for a culinary event like Cornucopia to see Whistler's food scene in full swing or sample several restaurants in one evening with Whistler Tasting Tours. People who like to shop love Whistler Village. Explore a diverse range of stores and boutiques featuring designer brands including Helly Hansen, Roots, Eddie Bauer, Lululemon, Pandora, Arc'teryx and more. Retailers feature the latest outdoor adventure wear and equipment from skis and snowboards to mountain bikes and golf clubs. Other stores offer beauty products, souvenirs, unique gifts and fine artworks.